There are ways to lower those costs: signing up way in advance or watching daily deal sites like Groupon, Living Social and Zozi can help you shave dollars off those fees. But one saving strategy seems to be popping up more frequently lately, offering more generous savings than most others. Most, if not all race organizers will offer you some sort of discount (I’ve seen 15%, but I’ve also seen 50%!) if you volunteer at one of their events. Last week, I volunteered at a local triathlon and the company gave me a code for 50% off an event, for which I promptly registered and saved a good $70. 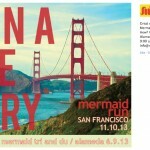 Yesterday, this local opportunity appeared in my Facebook stream: Let me repeat: a FREE entry to the November 10 Mermaid Run in San Francisco if you volunteer at the du and tri event next weekend. And last week, See Jane Run posted on their Facebook page a call for volunteers for their Half Marathon/ 5K race, offering a $200 donation to your group, charity or club, as long as you can put together a group of 10 volunteers. You see what I’m talking about? Even if you haven’t seen any such offers, it’s definitely worth reaching out to the organizers of a race you have your eyes on and ask them if they need volunteers for any other events — and what sort of discounts they may offer in exchange. Volunteering could save you big bucks for just a few hours of your time — and you’ll have tons of fun helping your fellow athletes! On Monday, I took a day off from exercise. Complete rest: I barely left the house! I hadn’t done that in too long — and by the time Tuesday evening rolled around I was ready to go! Swim drills followed by some crazy stuff: one-mile warm up, then running up and down picnic tables (I kid you not), jumping jacks, pushups, BOSU torture and so forth. My abs were crazy sore yesterday, which only goes to show how I need more core strength work. In fact, the bike shop mechanic who did my bike’s safety check recently told me that one of the main reasons newbie cyclists begin to feel discomfort and back pain on longer rides is lack of core strength. And after a more typical “rest” day Wednesday (walking four to five miles on the hills of San Francisco in wedges isn’t very restful! ), more swim drills today: I’ve been doing my best to stick to the Iron schedule, but I’ve had to compromise. At least, I’m focusing on my weakest sport (swimming), which is what everyone says you should do when you’re in a time crunch. Have you ever volunteered at a race? Would you consider it? I have not yet volunteered but I plan on it this summer. 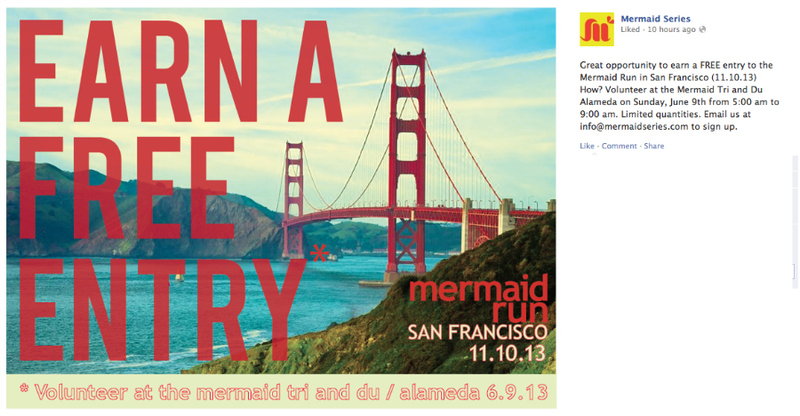 I’ve even got the event picked out. The volunteers are so important to these events! It is – and it’s also lots of fun to be around all these energized running people, and very rewarding to know that you’re helping them out, just like volunteers help you out as a participant. I loved volunteering and definitely plan to do more of it as my schedule allows!